Valencia is one of Spain's most successful club, with six La Liga titles to its name. They include two in three years, in 2001-2002 and 2003-2004, under manager Rafa Benitez and featuring players like Rubén Baraja, David Albelda, Vicente Rodriguez, John Carew, Pablo Aimar and Mista. Being a club with such reputation, fans expect more from them but during the past few years, they have struggled to achieve any significant glory in Spain. Last season they finished 12th in La Liga but with the arrival of Marcelino, they are fighting for a top-three spot in the La Liga table. This has been a big turnaround for the club. 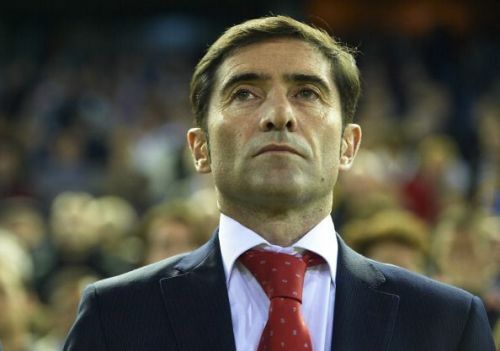 Let's take a look at the tactics used by Marcelino which resurrected Valencia from the dust. Before the start of the season, no one expected Valencia to even get a Champions League spot but with Marcelino's redefined 4-4-2 formation, they are right up there sitting at the third position in La Liga. 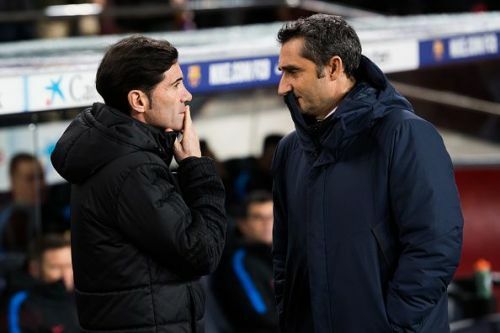 Marcelino arrives with quite a reputation for himself, having previously taken Villarreal to lofty heights in La Liga and in Europe on a fairly limited budget compared to the division's big hitters, where his 4-4-2 also enjoyed plenty of success. The Spaniard believes in players having set roles with a fairly rigid 4-4-2 system, which relies upon defending as a unit and then trying to break away the pace to cause the opposition problems in transition.